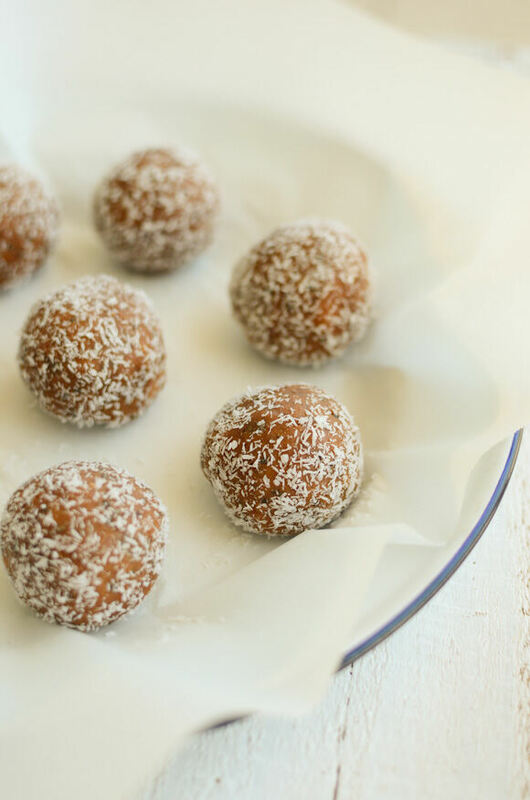 Gluten-free, paleo, vegan, sugar-free power balls. 450 g cooked and mashed sweet potato. 2 heaped tablespoons almond butter, made with half a cup of raw almonds. 2 teaspoons raw cacao powder. Combine the sweet potato, almond butter and chia seeds in a bowl. Mix together the cacao and the spices and stir into the mixture. You should have a gooey, sticky mixture. Rub your hands lightly with coconut oil and roll the dough into about 10 balls. Chill the balls in the fridge for approximately 30 minutes, then roll the balls in desiccated coconut before serving. These will keep in the fridge for 2-3 days. A great snack or afternoon treat these Power Balls are full of flavour to give you a burst of delicious energy. You can find our Nut Butter recipe here.